Welcome to Taphophile Tragics! Thank you very much for visiting, and for adding your links. 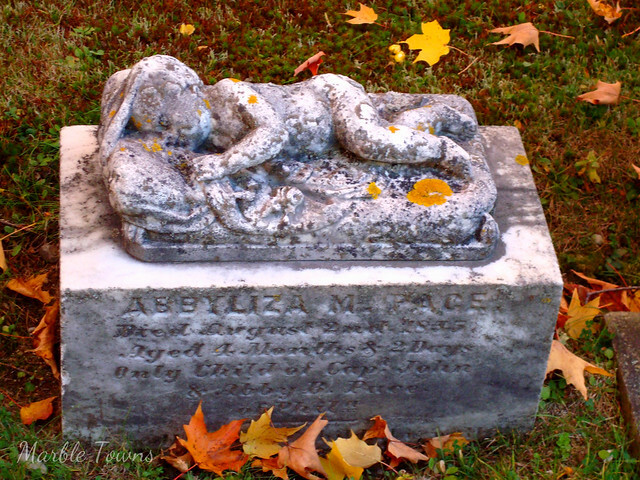 AbbyLiza M Pace, died August 2, 1855, Aged 4 months and 2 days. Only child of Captain John and Abby B Pace. 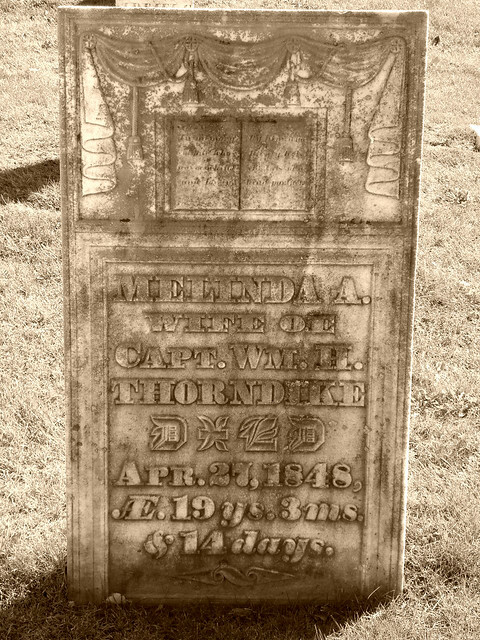 She is buried in Grove Cemetery in Belfast, Maine. 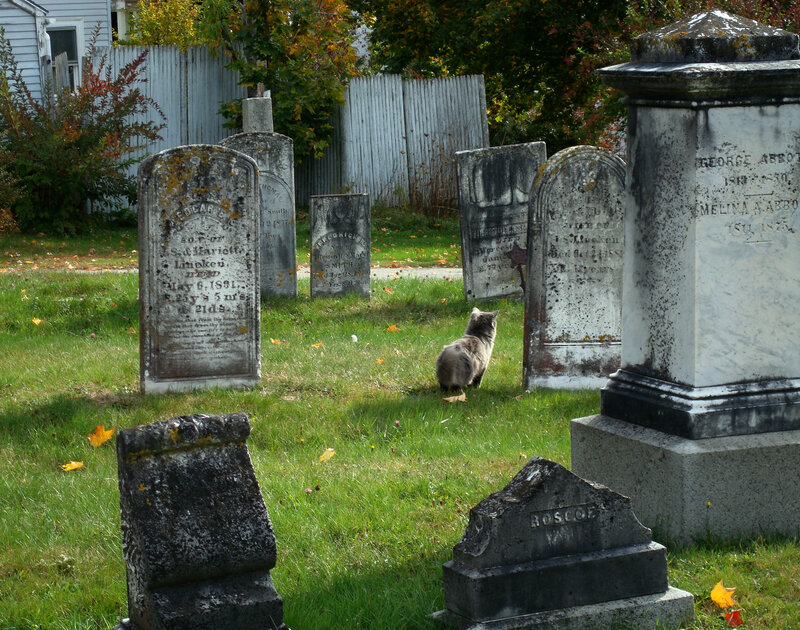 I took this photo in 2008, before cemetery photography was really something I became serious about — and thus, I wasn’t careful to look for, and photography, any markers for Captain Pace or his wife. I did find mention of them, though, in a book, Vital Records of Belfast Maine to the Year 1892. 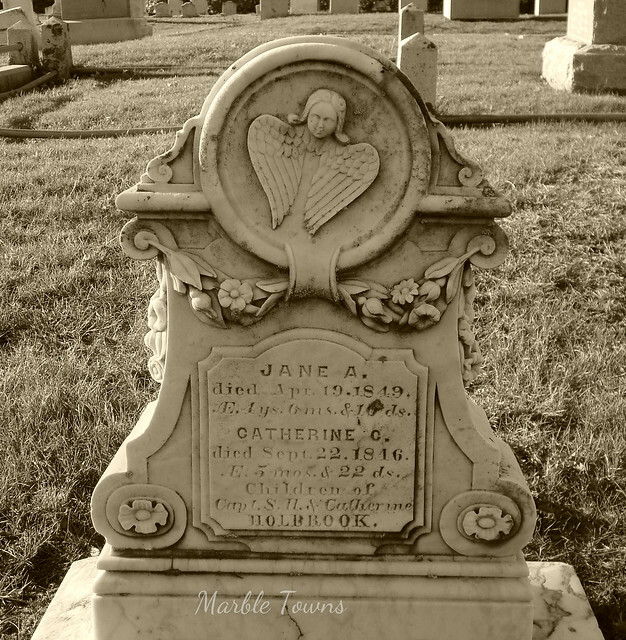 It lists AbbyLiza’s death, and also lists that Abby B Pace died on June 17, 1865 at the age of 45 from consumption. 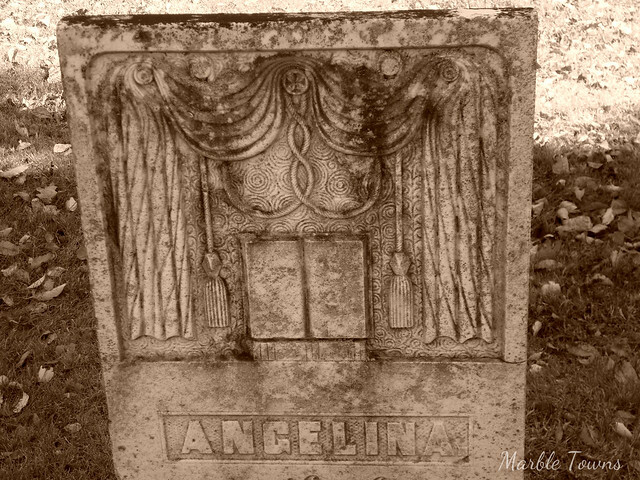 Welcome to Week #35 of Taphophile Tragics on this blog! This week’s meme will take us into October, my favorite month, so expect some dark/gothic photo effects coming up soon. Anyway — thank you very much for stopping by and for sharing your links! My photo this week comes from one of my trips to Maine many years back (before I was carefully taking photos – and really before I made cemetery photography into a hobby). Hipsey’s real name was Hepzibah and she shows on the 1880 census as being married to Moses Dow, and living in Rockland, Maine. Her husband, Moses, was a caulker by occupation, and they had several children: Victor, Anna, Armena and Flavilla. 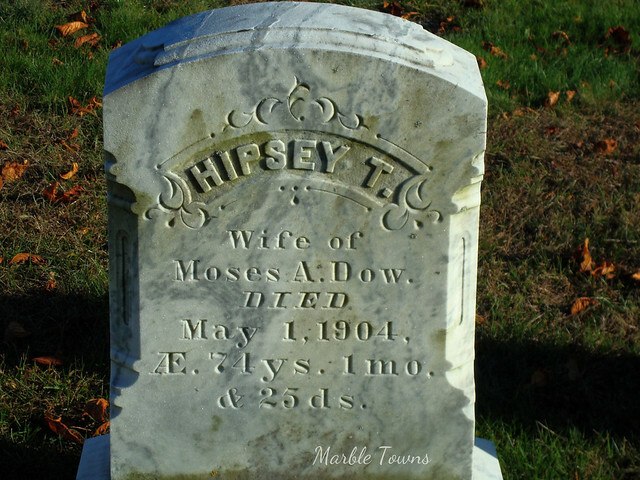 I didn’t really find anything else about her, although there was information in the Civil War Pension Index, which showed two dates of filing: 10/27/1884 – for invalid (which I’m assuming was for Moses), and 1/7/1890 for widow benefits, which shows her name spelled Hepsey T.